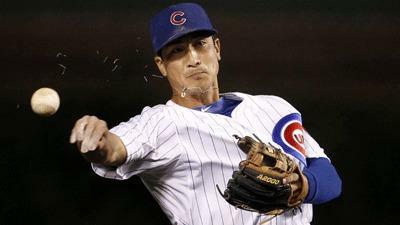 As pundits wondered whether the Cubs would keep Darwin Barney at second this year, because of his poor performance at the plate last year, Barney’s bat woke up in a big way, as he was 4 for 9 last week (.444) and raised his spring training average to .308. Of course, Barney will need to keep up a high level at the plate for the final weeks of spring training to show that last year’s average was an aberration. We’ll keep an eye on him. For some players, spring training has to be stressful. If your status reads “NRI” (non-roster invitee) or if you are at the bottom of your team’s depth chart (or you think you are), then how well you do in spring training makes all the difference. The Indian’s Elliot Johnson, in spring training as a non-roster invitee, must be struggling with that now. And so far he seems to be making a strong case. Johnson was 5 for 13 last week (.385) with 3 rbis, bringing his total so-far to 5 rbis in just 16 at bats. Can he keep this level of performance up for most of spring training? If he does, will it mean he makes the roster? Its too early to read much into the first week’s performance in Spring Training games, but its hard not to notice that Darwin Barney has started hot. Barney went 3 for 5 in the first handful of games, with a home run, 2 RBIs and a run scored. 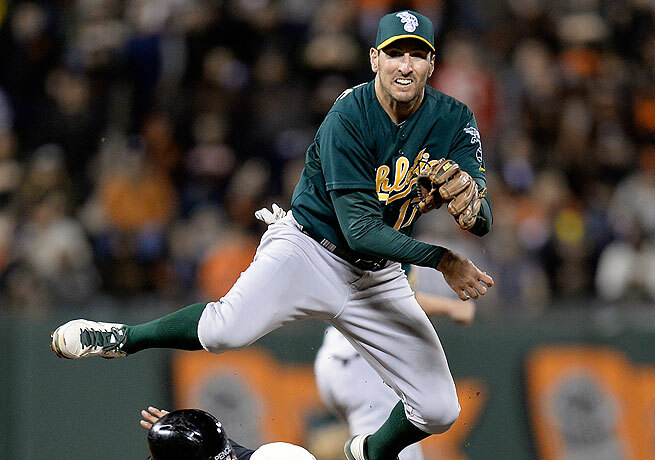 Adam Rosales hasn’t had much fun during the past month. As the Oakland As have tried to improve their team and maintain a lead as the season winds down, Rosales has become more of a liability. But instead of simply going back to AAA, Rosales has ridden a roller coaster between the majors and AAA and halfway across the country as well. To understand the roller coaster, it helps to understand MLB’s rules for demoting players. As I understand it, teams must first “designate a player for assignment,” which allows other major league teams an opportunity to claim the player first. If no one claims the player, on the 5th day the player can then be assigned to the minors. Rosales’ trouble started on July 8th, when the As designated him for assignment and then sent him to AAA Sacramento on the 12th to make way for Grant Green. But he was brought back to the majors just 11 days later when Green didn’t work out. Then on the 31st, he was designated for assignment again when the As acquired Alberto Callaspo. But this time the Texas Rangers thought he might be useful, and claimed him on waivers August 2nd, though the As would have preferred to keep him in their AAA stable. But the Rangers didn’t even give Rosales a chance to play, and designated him for assignment on August 5th. But in the mean time Alberto Callaspo was injured, and the As claimed Rosales back. He saw one at bat last week on August 9th, and the As designated him for assignment again on August 10th. For Adam and for the As the question remains: Will he clear waviers and stay in the As system? Or will someone else claim him? 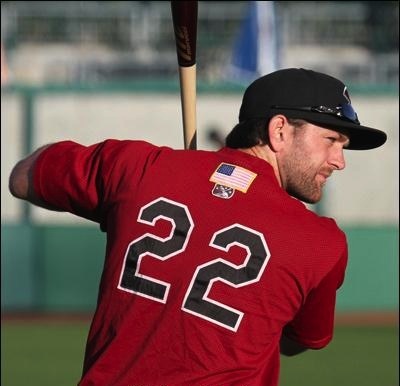 The Sacramento River Cats’ Shane Peterson is hot once again. After all but taking over spring training as a personal showcase, he cooled down during the season, settling into a sub-.250 batting average. But this past week Peterson has become hot again. In games against Albuquerque and Round Rock Peterson has exploded, going 10 for 22 with a home run, 5 rbis, 4 runs scored and six walks. In the process he has raised his season average to .241. With Oakland leading the AL West and expecting to make the post-season, they will want another hot bat on the bench when the roster expands to 40 on September 1st. Will Peterson be ready? Another 40-man roster candidate is the Yankee’s Nik Turley, currently playing in the AA Eastern League for the Trenton Thunder. 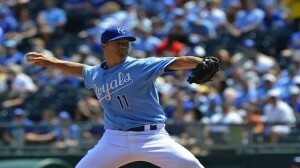 Turley has steadily improved over the past few weeks and could also be ready for the expanded roster on September 1st. 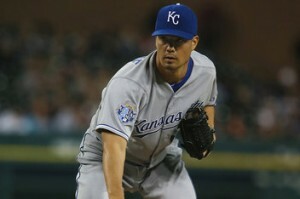 This past week he was stellar, giving up just 1 run in 11 innings (0.82 era), striking out 9 and posting a WHIP of 1.00. For the season the lefty’s era is down to 3.77 and his WHIP stands at 1.31, and given the doubts about the Yankee’s pitching, he may make his first appearance in the majors this Fall. Over his past 5 starts, the Kansas City Royals’ Jeremy Guthrie has a 4-1 record, improving his season totals to 11-7 and putting him tied for 11th in the majors in wins. Does this mean that Guthrie has turned around his performance? Can we expect solid pitching for the rest of the year? The answer isn’t quite clear. Guthrie’s struggles have kept everyone guessing, with the best guess being that he will pitch well one game and then struggle the next. And looking behind the wins at his era and performance each game, Guthrie’s performance is still not something you can count on. In the last 5 games, he first pitched well, and then twice gave up 5 earned runs, but somehow managed to win one of those games. The most recent two games were solid—he gave up first 1 earned run, and then 2 last week. His era for these 5 games was still 3.98, just a little below his season era of 4.22. So its hard to make much of the last 5 games. But give me another strong outing or two in a row? Well, the Royals will be much happier and much more confident in him. The week of the All-Star Game can be a boon to some players—those who don’t play. First you get three days of rest. Then the shortened week can make you look good for the week. 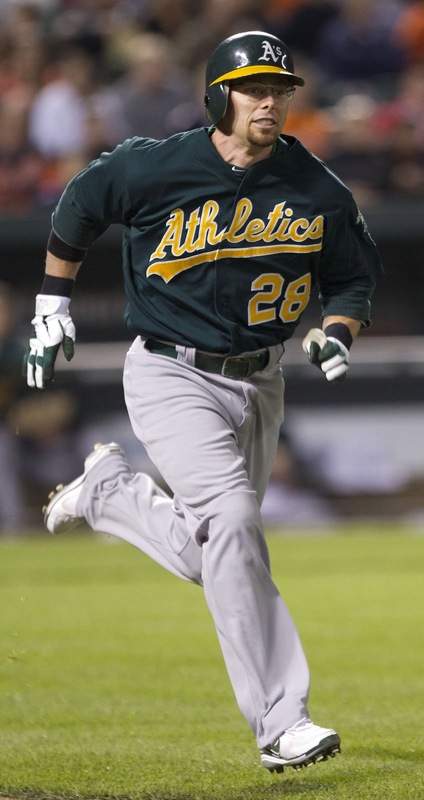 And among the Mormons in the Majors, the All-Star week worked best for Eric Sogard. After his three days of rest, Sogard, who is best known among the Oakland fans for his glasses, went 4 for 8 and hit his 2nd home run of the year. His batting average is back up to .264, and unlike fellow Mormon on the team Adam Rosales, Sogard has not been sent down to triple A ahead of the trade deadline. Sogard isn’t the only Mormon blasting away at the plate. Jacoby Ellsbury was still red hot after the All-Star Game, hitting .364, scoring twice and walking twice. His batting average is up to .307 and he has maintained a lead in stolen bases in the majors with 37. Its an old story in baseball. The pitcher performs extremely well, but the team behind him doesn’t, and the pitcher ends up with a loss. That was the story for the Toronto Blue Jay’s Josh Johnson last week. Over 5 innings Johnson pitched fairly well. He gave up 1 earned run and 7 hits while striking out 5 and walking just 2. While that perhaps isn’t a great performance, it should be sufficient to win the game. What’s missing is that the the team gave up a total of 6 runs, 5 of which were unearned, due to errors made by Johnson’s teammates. Royals’ starter Jeremy Guthrie finally notched his 6th win of the season last week, after struggling through much of May and losing 3 games in a row. This game brought his season era down to a respectable 3.66, but still quite a bit above the phenomenal 2.28 era he held on May 9th after his 5th win. Guthrie’s pitching was perhaps bested among the Mormons pitching in the majors by both Matt Lindstrom and Brandon Lyon, relievers who each pitched 3 or more innings during the week without giving up a run. Lindstrom (White Sox) is perhaps slightly more impressive, with a season era of 2.96 over 27.1 innings, but Lyon (Mets) has a 19-6 strike out-to-walk ratio, much better than Lindstrom.